A couple of weeks ago, I was browsing through the video section of a local store when I came across a recent release of the TV series Cowboy Bebop. Although I’ve been an anime fan since I first saw Gigantor in the early 1970s, I managed to miss Cowboy Bebop’s debut on the Cartoon Network circa 2001. That was right after my wife and I decided that we weren’t getting enough out of cable to keep paying an exorbitant bill every month. I’d seen two or three episodes over the years at science fiction conventions and knew that I wanted to actually watch the series, so I picked it up. 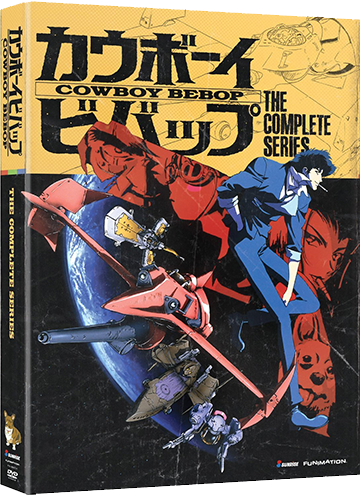 If you’re like me and late to discovering Cowboy Bebop, it’s the story of two bounty hunters: a former cop named Jet Black and a former mob enforcer named Spike Spiegel, who travel through the solar system in a space ship called the Bebop looking for criminals to nab. 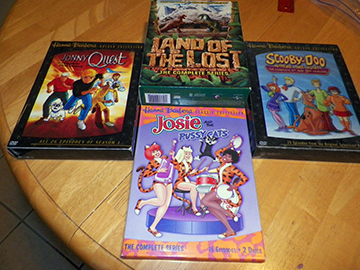 As the series progresses, they’re joined by Faye Valentine, a bounty hunter with a mysterious past; Ein, a Welsh Corgi with a brain implant; and Radical Edward, a teenage girl who has mad computer skills. Unlike a lot of current anime, Cowboy Bebop has less of an overarching story and is more a series of self-contained episodes. In this world Cowboys are Bounty Hunters, but space cowboy imagery runs through the series. Spike, Faye, and Jet all have their personal fighters, which are a little like their mechanical horses. There’s a sense of the solar system colonies on Mars and Jupiter’s moons requiring a kind of wild west frontier spirit to tame. Much of the look and feel of the show is reminiscent of Joss Whedon’s Firefly and if Whedon didn’t take some inspiration from Cowboy Bebop, then the similarities are a pretty big coincidence. One of the great elements of Cowboy Bebop is a truly remarkable jazz soundtrack by Yoko Kanno and the Seatbelts. At points, the music slips away from the jazz and adopts a little lonely guitar to enhance the wild west feel. Another thing that strikes me as especially well done is the characterization of Radical Edward. As the father of a bright teenage girl, she hits many of the right notes. Edward can be persuaded to be useful, but most of the time is more interested in sleeping, eating, or doing her own thing, which sometimes horrifies or confuses the adults around her. My only real issue with the series is that it’s set in 2071, and though I would love to have many well populated colonies out in the solar system by then, I’m hard pressed to believe it will happen. Despite that, I love the look of the series and have long been attracted to the idea of stories about the rugged individuals who will go out and forge new lives among the stars, such as my novel The Pirates of Sufiro. In my story, space pirates are stranded on a distant world and must make a life there in a story that took some inspiration from my great grandparents who homesteaded in New Mexico and Texas. The link in the title will take you to the free PDF edition distributed by my publisher, which is my preferred edition. Finally, I’ll wrap up today’s post with a brief update. At this point, we’ve decided that Tales of the Talisman will remain closed through 2016. However, Hadrosaur Productions will be reading for an anthology this year tentatively on the theme of Space Cowboys. Like the space cowboys of Cowboy Bebop and The Pirates of Sufiro, these are not necessarily literal cowboys, but people who embody the frontier spirit. Some may be quick with their blaster. Some may have to use their wits to survive in a harsh environment. Some may just be the people who are happy to be alone riding the range of space when no one else wants to. I hope to have guidelines posted at the Tales of the Talisman website by April, with the reading period this summer. Till next week…see you space cowboy. I spent last weekend at LepreCon in Phoenix, Arizona, where I had a great time presenting science talks and speaking on steampunk panels. The convention was large enough that I kept busy, but small enough that I could have some good productive conversations with people. I came home to find the final illustrations waiting for the last issue of Tales of the Talisman Magazine. So I spent much of this week finishing the layout. Today, I wrote my final introduction for the magazine. We’ll be proofreading in the coming week, then sending it to the printer. Needless to say, this has been something of a week for reflection. When I started Tales of the Talisman in 2005, I was working as a full time writer and editor. No one was more surprised than me at the end of 2007 when I received a call from Kitt Peak National Observatory asking if I would be interested in returning to operate telescopes. To be honest, I thought it would be a short-term job. The funding situation for the national observatory looked bleak and it was unclear how much longer the National Science Foundation would continue to operate the facility in an era when bigger and better telescopes needed construction funds. Seven and a half years after I returned to Kitt Peak, the situation has changed dramatically. The Dark Energy Spectrographic Instrument (or DESI) is being developed for the Mayall 4-meter telescope. Also, NASA is pushing ahead with the Extreme Precision Doppler Spectrometer (or EPDS) for the WIYN telescope. In these volatile times, it’s hard to say what will happen in the coming months and years, but right this moment, Kitt Peak’s future looks bright and I’m excited to be a part of it. In this era of promise for astronomy, I also find my writing load has increased. I just turned in The Brazen Shark, which is book three of my four-book Clockwork Legion Steampunk series, and I signed the contract for the horror novel, The Astronomer’s Crypt. If all goes well, that latter project will be the first of a series. I was already finding it challenging to keep up with a relentless, quarterly publication schedule. Also, publishing has been evolving in the past decade and I’ve recognized the need to create a sustainable electronic edition of any book I publish. It’s not much more work than creating a print-only edition, but it’s enough extra that I haven’t managed it regularly. So, volume 10, issue 4 is the last issue of Tales of the Talisman … for now. Who knows quite what the future will hold as both publishing and astronomy evolve. What I can say for sure is that I will continue to find ways to publish short fiction, but in a way that I can manage with the astronomy work and my writing commitments. At LepreCon last weekend, I had a great discussion with Jennifer Brozek, who has been nominated for the Hugo Award for best editor. 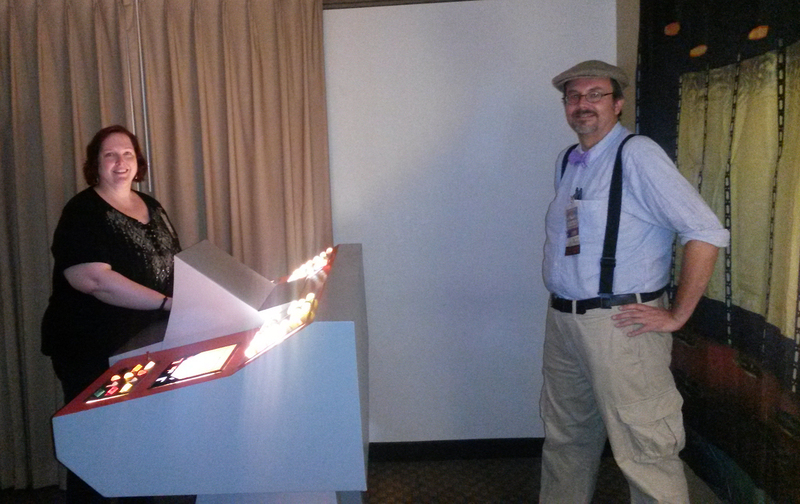 We also got to play with a really cool Star Trek transporter prop. I can’t say too much about our discussions until more discussion happens, but I can say a viable project is in the works, and it might just be as much fun as playing with a working transporter console. Stay tuned. Here’s wishing all of you a Happy Independence Day! The middle of May 2015 marks several milestones in my life. In chronological order, my youngest daughter celebrated her thirteenth birthday, I turned in my tenth novel for publication, Hadrosaur Productions celebrates its twentieth birthday, and my wife and I celebrate our twenty-fifth wedding anniversary. 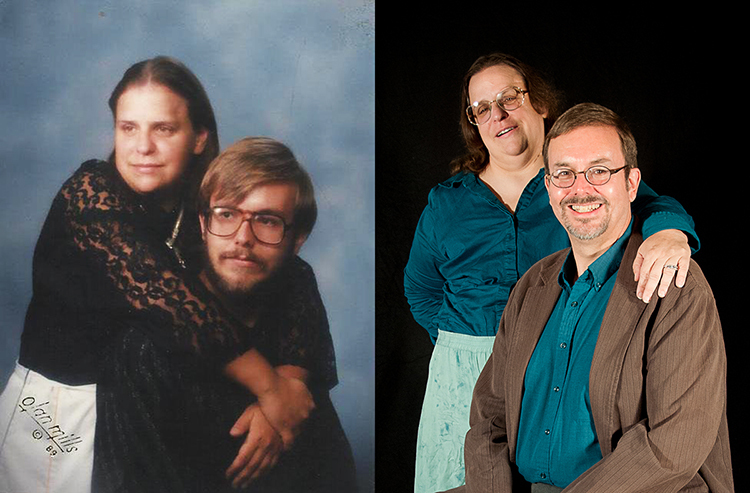 On the left are my wife and I about a year before we were married and the photo on the left was taken a little over a year ago. 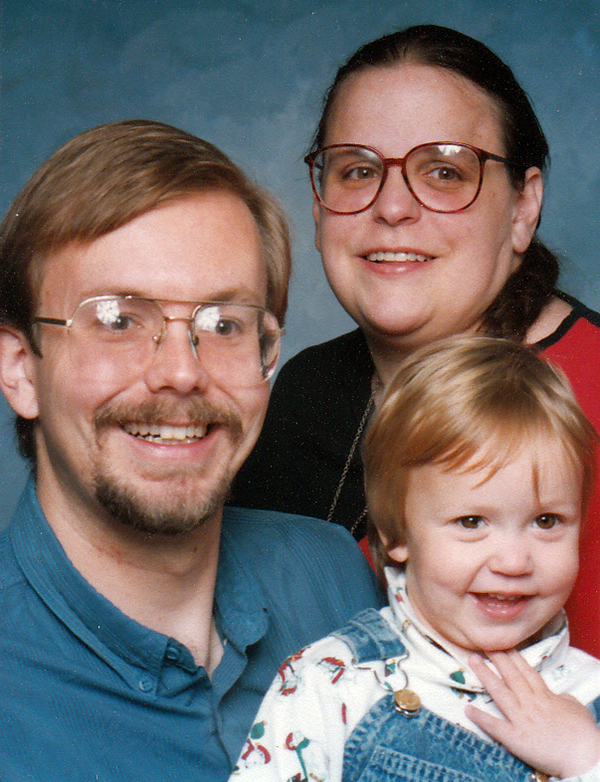 I have to say, those twenty-five years have gone by quickly. 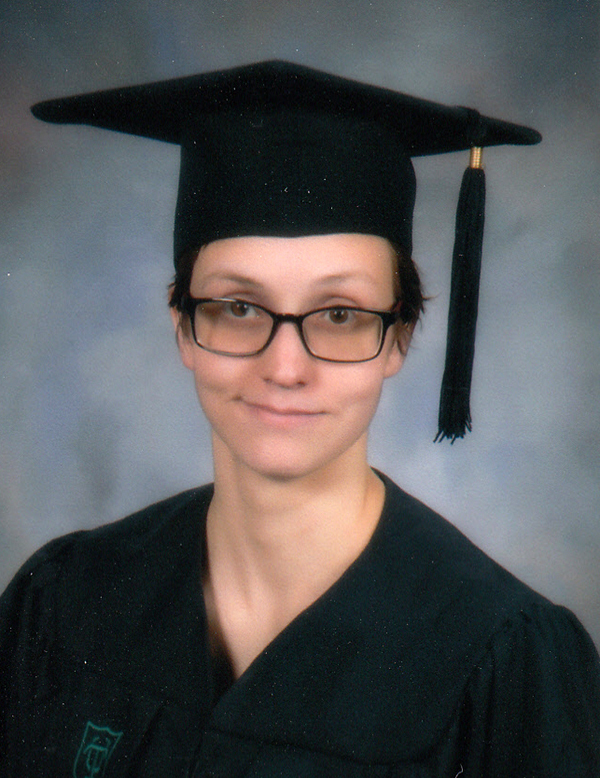 While it’s a little sad to see my little girl grow up, I’ve had to remind myself it’s the nature of life and I’m proud of the young woman she is growing into. She has a bright future ahead. Novel number ten is The Brazen Shark, third novel in my Clockwork Legion Steampunk series, contracted by Sky Warrior Publishing. Beta readers have gone over the book and given me feedback, which I’ve applied to the novel as I’ve polished it for submission. It now joins novel number nine, waiting to begin edits. Number nine is The Astronomer’s Crypt, which is at Lachesis Publishing. I’m told my editor is ready to begin work and I’m just waiting for the contract to arrive. Hadrosaur Productions was founded as part of my wife’s final project for her Masters in Business Administration at the University of Arizona. The original vision of the company was to produce audio stories, but the focus soon shifted to books and Hadrosaur Tales Magazine, which we published for ten years. 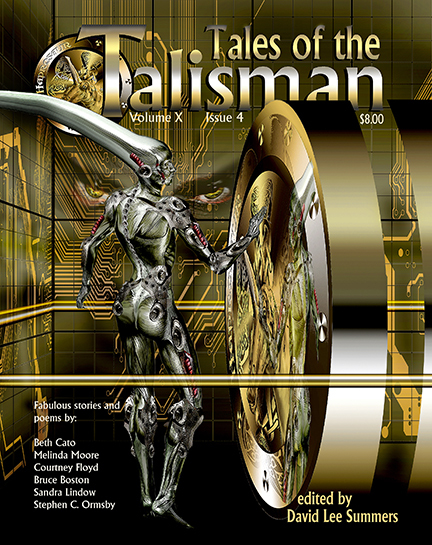 Afterwards, we reformatted the magazine and called it Tales of the Talisman. Now as we celebrate our twentieth anniversary, the magazine will be going back into a chrysalis phase. Of course, Hadrosaur Productions has been much more than a magazine publisher. We also publish anthologies, have served as a cooperative publisher for novels, and we sell books at conventions. Of course, we also do have three audiobooks. To celebrate this particular milestone, we’re offering 20% off all our novels, anthologies, and audiobooks for the next month. This includes many of my novels! Drop by hadrosaur.com and celebrate twenty years with us. Last but not least, this brings us to the twenty-five years of marriage with Kumie Wise. Fact of the matter is, none of these milestones would have been possible without her. Not only is she mother and wife, but as noted in the paragraph before, founder of Hadrosaur Productions. She’s also my biggest fan—the one who makes sure I don’t get distracted with other projects, and actually finishes the books I’m working on. Of course twenty-fifth anniversaries are a common time for people to ask, how did you make it work? I routinely come back to one of the great quotes by Robert A. Heinlein’s character Lazarus Long: “Formal courtesy between husband and wife is even more important than it is between strangers.” The quote reminds me that it’s important to be considerate of feelings. It reminds me that no matter what, we’re in business together. In this case, I’m not talking about Hadrosaur Productions so much as the business of running a household and raising kids. Being courteous with each other, helps us set an example for the kids. Yeah, we’ve often forgotten this, but part of formal courtesy is knowing the importance of apology, forgiveness and moving on. Here’s to the next set of milestones!